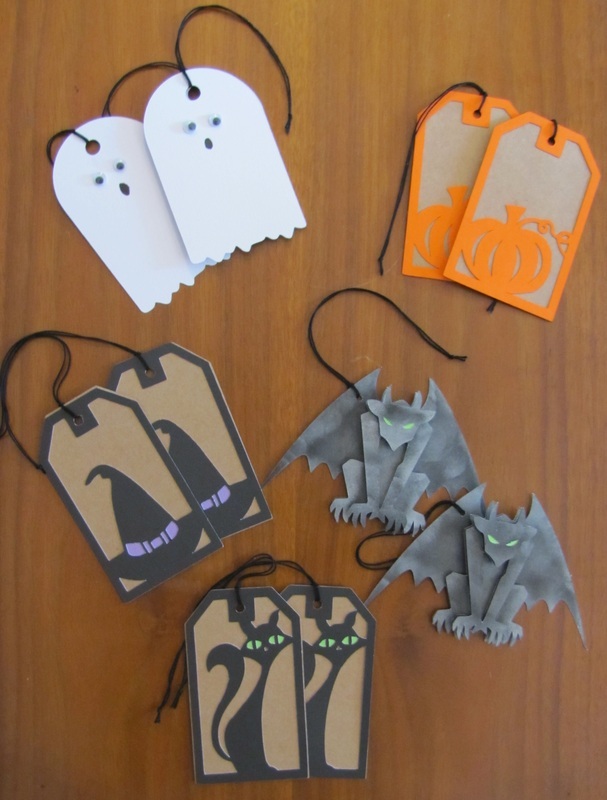 For information about these tags and purchasing them please click here. For information about this tag and how to purchase please click here. 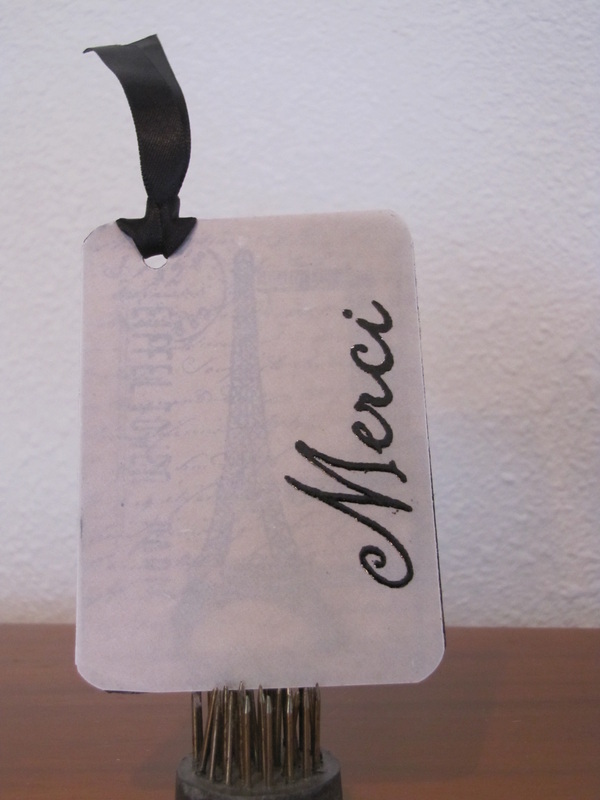 This tag is made of shimmer silver cardstock. It is stamped with a scroll stamp and a rhinestone is added for a little bling. 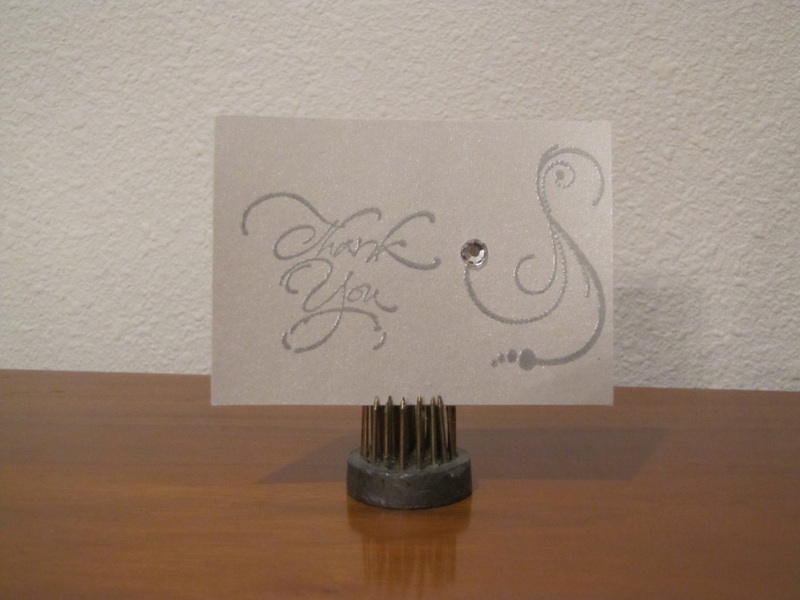 It is stamped with silver ink and embossed for a tone on tone effect or stamped with black ink and embossed for contrast. 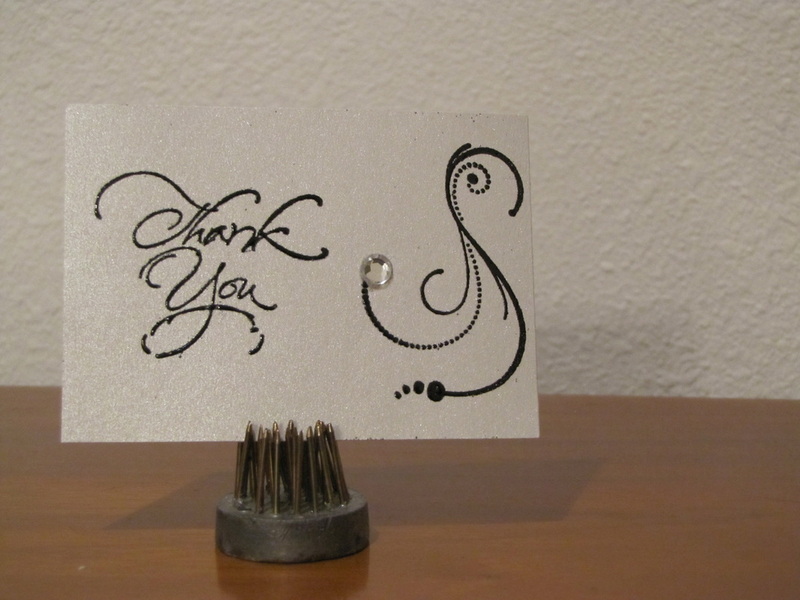 It can be blank for your personalization or I can stamp Thank You. The back is blank. 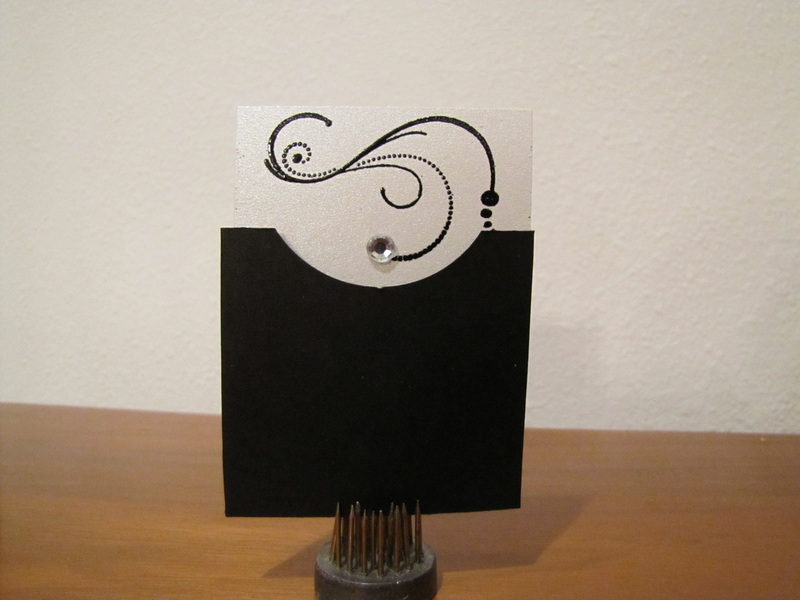 The tag measures 3 1/2 by 2 1/2 and comes with a black 1/2 envelope. 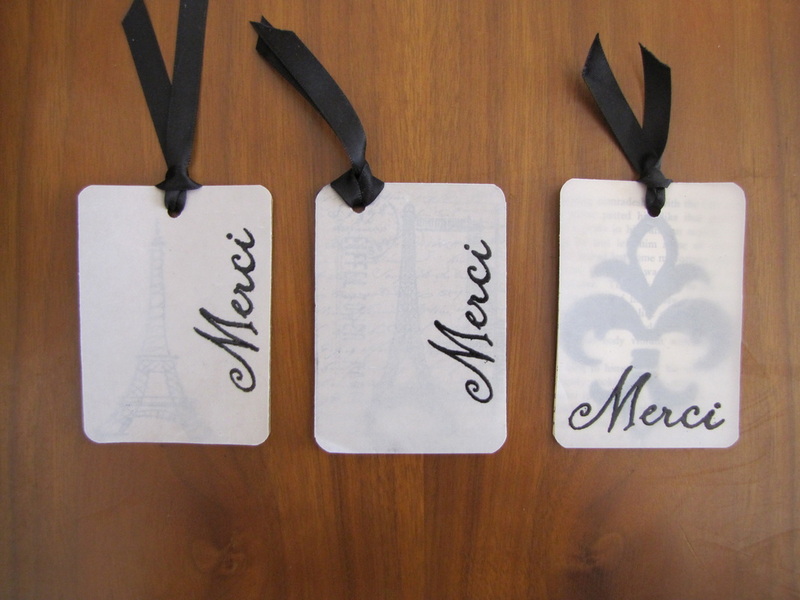 These are perfect for weddings, new years eve or gifts. Click here for purchase information. 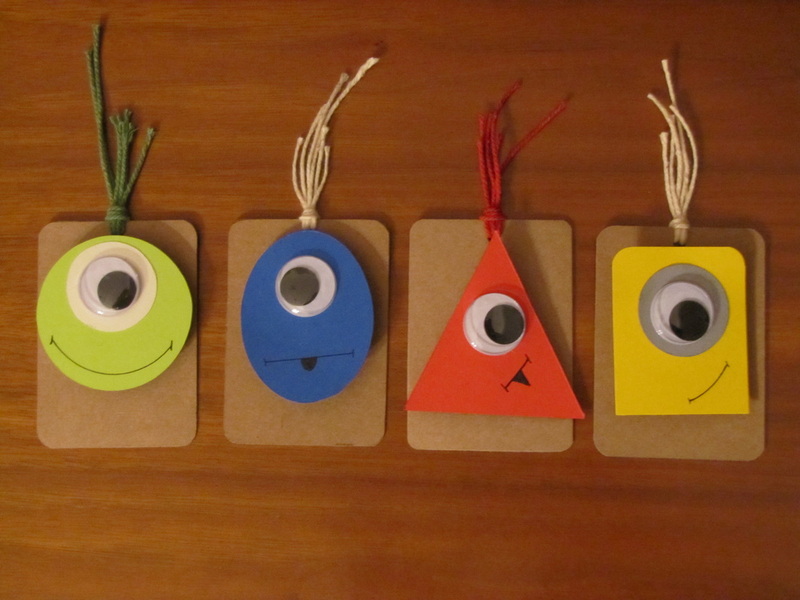 These wobbly monster tags are perfect for a gift, thank you, party name tag or place setting tags. They can also have the sentiment "wild about you!" stamped on them. The monsters are on an action wobble and move. The tags measure 2 1/2 X 3 1/2. The back side of the tag is blank. These come three to a set but email me for larger orders. Click here to purchase. Wild about you! mini tags. Perfect as gift enclosures, in mini albums or on scrapbook pages. The giraffe's head and alligator's tail peek out of the envelope. The back is blank for writing a sentiment or journaling. They measure 4 1/4 X 2 1/4. The set of 6 includes 2 alligator, 2 giraffe and 2 zebra tags. Click here to purchase. 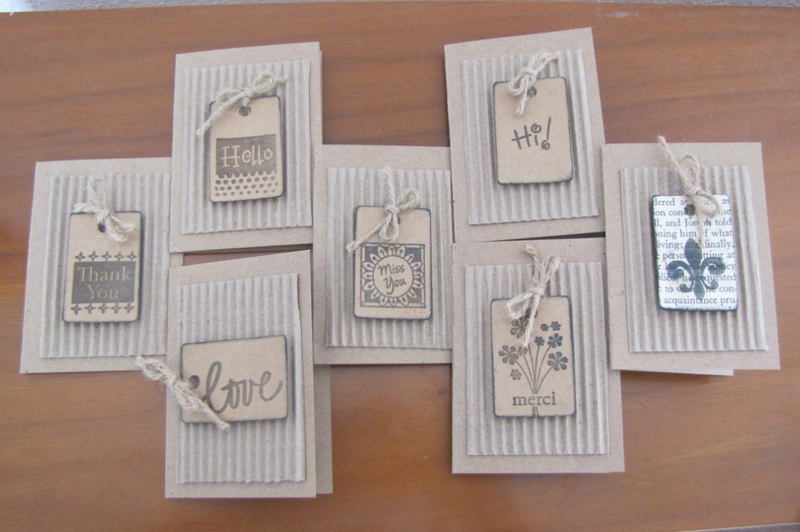 Mini Kraft Cards with tags. Sentiments include hello, merci, thank you, love, hi, live laugh love, you're the best, and a fleur-de-lis Cards are blank inside. Cards are 2 1/2 X 3 1/2 Envelopes included. 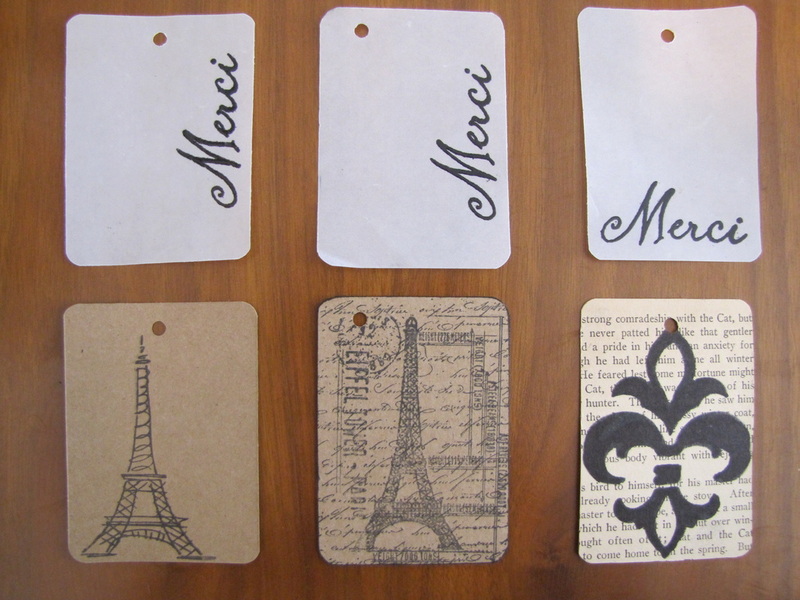 These tags are made with scrap papers. As a Mom I think all Mom's hate waste. 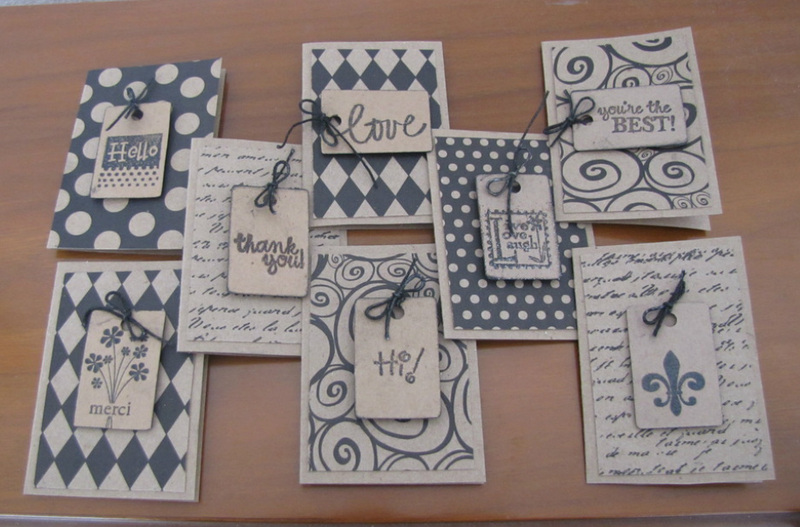 I used kraft and manilla tags and various scrap papers. 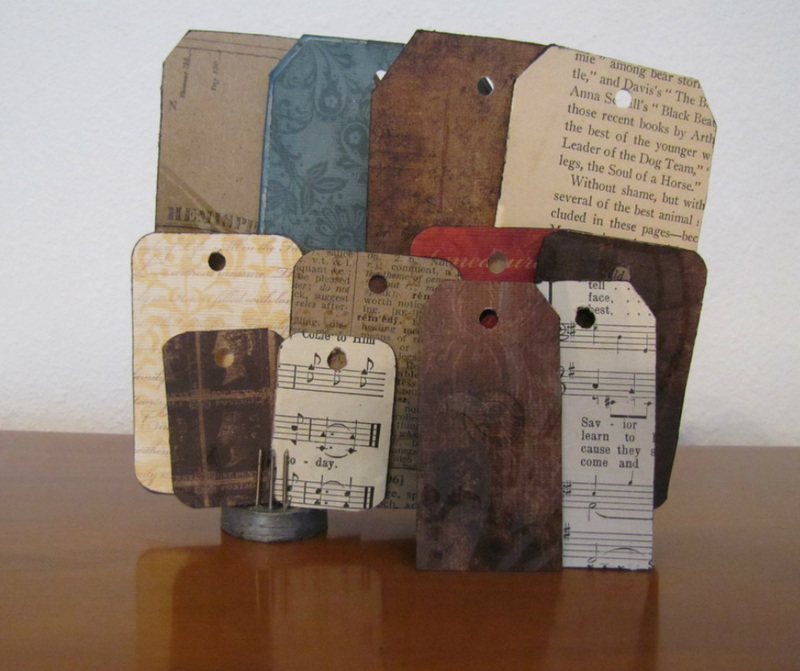 Some are made from vintage book and music papers. 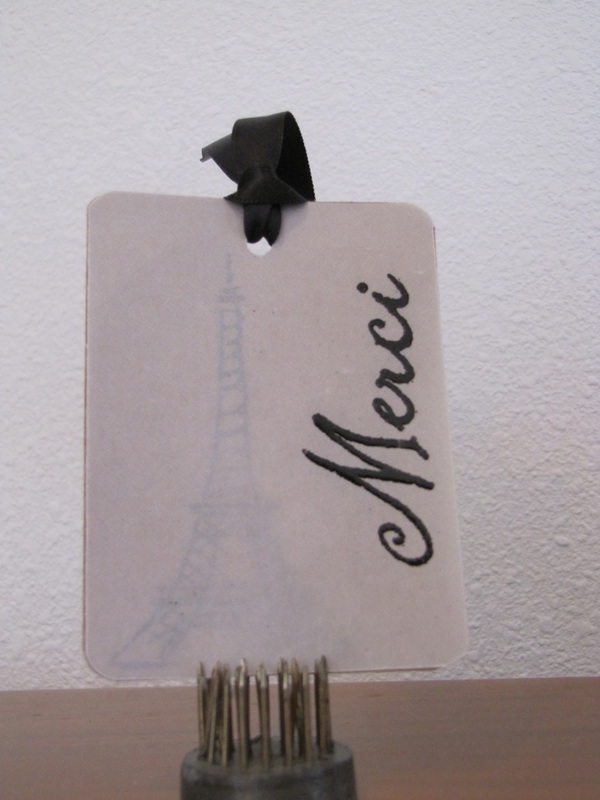 You can use the tags as is or you can embellish them. 2 tags: 1 3/4 X 1 1/4. All sets will contain 13 tags and will be made up of various papers. 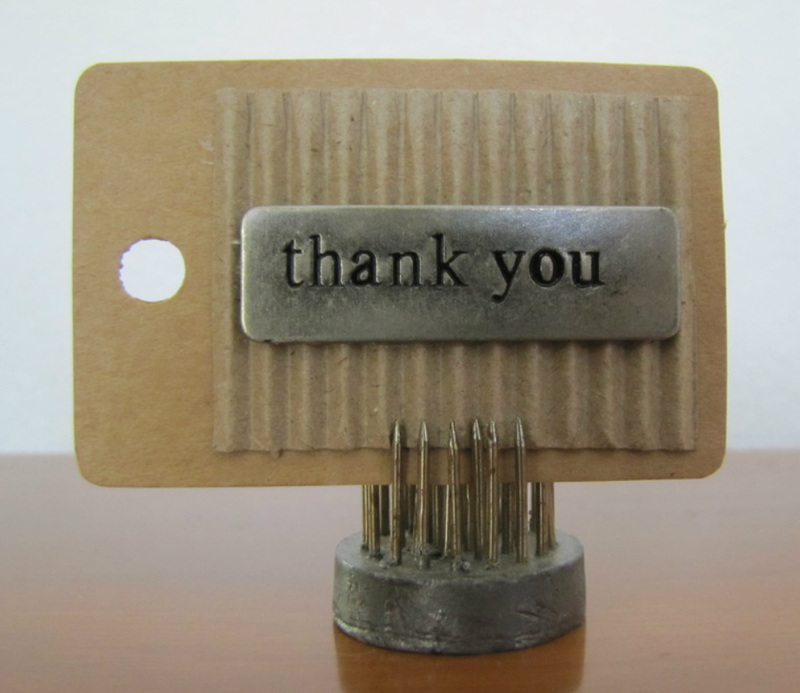 Thank you tags made out of kraft paper, corrugated paper and metal. Tags measure 2 3/4 X 1 3/4. Only one set. 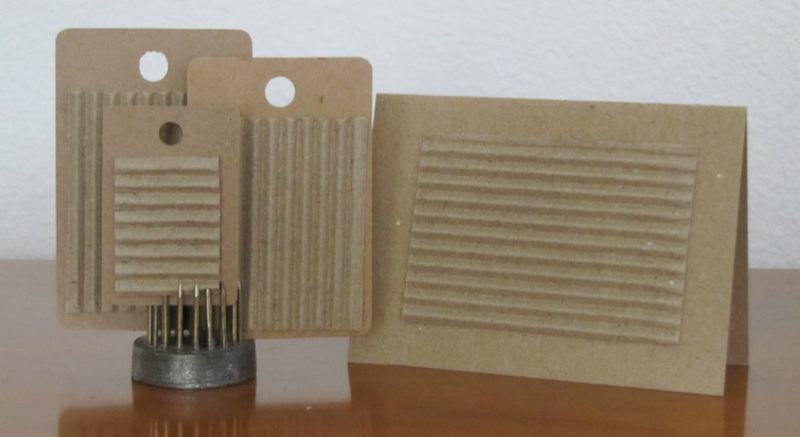 Set of 7 Mini Kraft Cards with corrigrated paper and tags. 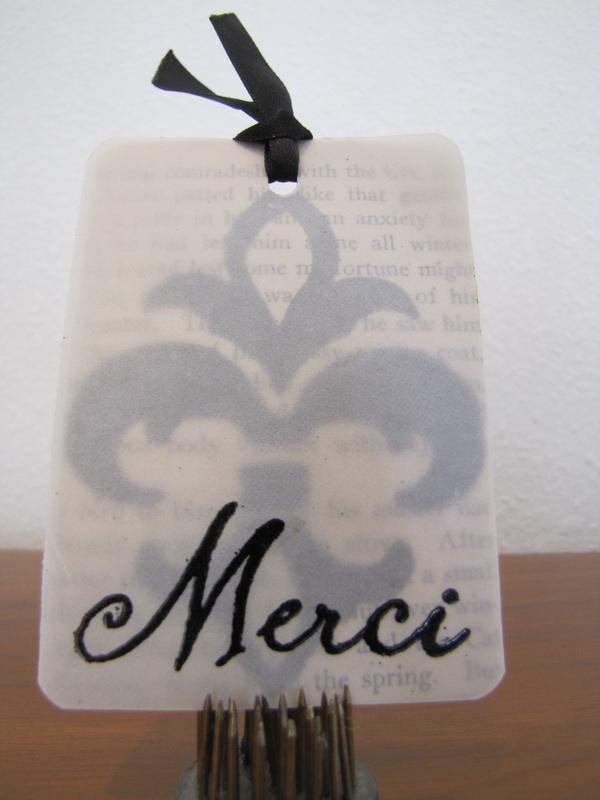 Sentiments include thank you, hello, love, miss you, hi, merci, and a fleur-de-lis. Cards are blank inside. 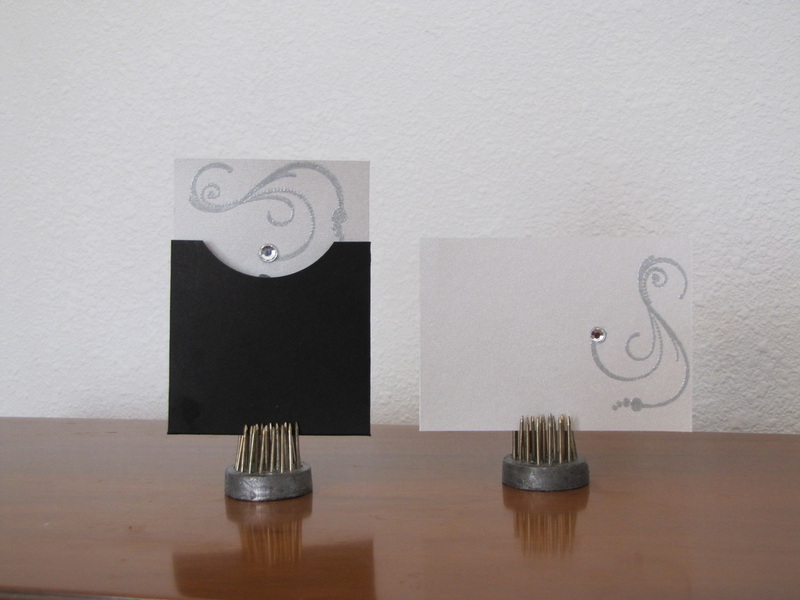 Cards are 2 1/2 X 3 1/2 Envelopes included.